If you’re overwhelmed by all the window treatment options out there, you’re not alone. 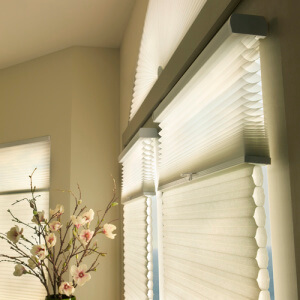 At A Shade Above here in Charlotte, many of our customers get caught up in the search for the perfect window treatment. Even if you’ve got two different goals at a window, we’ve got your solution. Speak with one of our trained consultants today. We’ll be happy to help! Do the street-side windows in your living room need to provide complete privacy at night while controlling the sunlight coming into the room during the day? Putting together your home décor vision can sometimes be difficult when you have issues controlling light and privacy. Dual-function shades can take care of that! With a sheer fabric that allows natural daylight to illuminate your space, plus a room-darkening fabric or liner to darken and insulate the room for relaxation and privacy, the dual-function option provide two shades in one! As the window fashion leader, Hunter Douglas has developed the ideal versatile two-in-one blind and shade solutions. As you plan, however, remember that they might require a little more mounting space than a standard blind. All Hunter Douglas products are designed and custom-assembled in the United States. As a Hunter Douglas dealer, we’ve continued the tradition they started more than 60 years ago to provide industry-leading innovation and design, an extensive portfolio of window fashions constructed from highest quality materials, and superior customer service. You simply won’t find exceptional American design and craftsmanship in any other window fashions line.